The world largest game reserve “Selous Game Reserve” is located in Tanzania along the Rufiji River basin. Selous game reserve possesses a diverse landscape from hot volcanic springs, sporadic lakes, channels from the Great Ruaha and Rufiji rivers. The Rufiji River, with its lagoons, sandbanks and lakes, and the surrounding forests and woodlands that make up the Selous create a very unique and unusual safari environment. 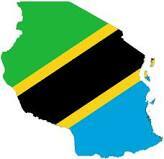 Total area for Selous Game Reserve is 50,000 square km which is greater than the size of Switzerland. This vast wildlife land is used for both photographic and trophic hunting. Selous is the home to a range of big game including buffalo – the largest population in Africa; Nyasaland gnu; brindled gnu; hartebeest; Greater Kudu; sable antelope; eland; reedbuck; bushbuck; waterbuck; warthog; zebras; giraffe; and wildebeest. Safaris in the Selous are famous for the elephant, hippopotamus and rhino (although now few remain) populations. Also: lion, leopard, the spotted hyeana and hunting dog are in abundance; cheetah are rare; there are over 350 species of bird and reptiles such as crocodiles and various snakes and lizards. There are many elephants, lions, zebras, and other wildlife in the reserve. A Selous holidays is best organised by flying from Dar es Salaam – all safari camps have an airstrip for light aircraft so you can reach your lodge easily. Take a cable car across Stieglers Gorge (100 metres deep and 100 metres wide); bird watching; photography; walking safaris; and fishing Tiger Fish and Vandu (in the rivers of the Kilombero Game Controlled Area to the west of the reserve). Selous safari game viewing, balloon safaris and boating trips on the great Rufiji River are readily arranged. Mainly based in the north of the reserve. Stay in the either the Island Mbuyini luxury tented camp, the Sand River Lodge, the Selous Safari Camp, or the Rufiji River Camp. 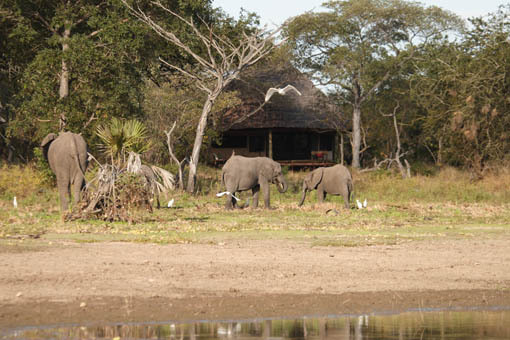 Selous safari drives, boat trips, and walking safaris into the reserve may be made from these safari camps and lodges.